The Millennium City is like a dream-come true for lovers of luxury, real estate-wise. 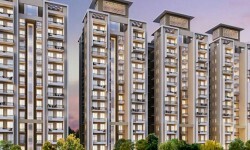 It is hard in fact to find a match for Gurgaon’s luxury properties as far as the national capital region is concerned. Needless to say, rates of property in Gurgaon are way higher than its peers in the NCR offer. However, the fact that Gurgaon real estate is exorbitantly prices should not worry lovers of luxury—even in a budget of Rs 1-1.5 crore, you can find for yourself a reasonably affordable luxury for yourself. Interested? Here are the localities where you could find such options in plenty. Sector 79: Located in New Gurgaon area, Sector 79 has the highest number of projects that offer standard 2-3BHK apartments in Rs 1-1.5-crore price range. The locality, which witnessed a price dip three years ago, now offers property at Rs 5,516 per square foot (psf). While 2BHK apartments here start at Rs 1 crore, the 3BHK apartments can cost you Rs 1.3 crore and above. Some of the prominent developers with projects here include Godrej Properties, Raheja Group and Mapsko Group. Sector 109: A satellite locality in Gurgaon, Sector 109 lies close to Sohna, Faridabad and Bahadurgarh. It is an emerging locality for a property with rising demand from those working in many corporates in and around Sector 109. Those looking for property here can buy it for Rs 6,010 psf. If you are on a budget of Rs 1-1.5 crore, the locality has a huge inventory. You could buy 3BHK and 3BHK+ apartments in this budget. 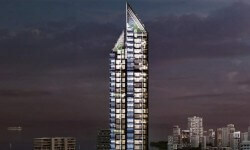 Developers that have projects here include ATS Green, Chentels, Raheja Developers, among others. Sector 68: Sector 68 in Gurgaon is located closer to the city centre. The locality is known among property experts for its huge offerings in terms of condominiums, duplex villas and penthouses. The locality has a lot to offer to those looking for property priced between Rs 1-1.5 crore. With property rates falling in the past one year from Rs 6,245 psf in December 2017 to Rs 5,732 in January 2019, this is the right to invest in a good luxury property that is worth your buck. One could buy a 3BHK with three terraces at a starting price of Rs 1.2 crore. If you could spend a little over Rs 1.5 crore you could even buy a 4BHK. Sector 82: The locality, which lies close to Sohna, Faridabad and Bahadurgarh, has been fuelled by the coming of various multi-national companies here, including automobile-manufacturer Maruti’s plant. It is an emerging market that has ample property options for those on a budget of Rs 1-1.5 crore — you could buy a 4BHK apartment in that budget. The average property prices here, too, have witnessed a drop since August 2017 (Rs 6,553 psf). The current property rate here is Rs 5,823 psf. Some of the key developers with projects here include Mapsko Group, Vatika Group, among others. Sector 99: Sector 99 has become a prime locality given its strategic location at the under-construction Dwarka Expressway. 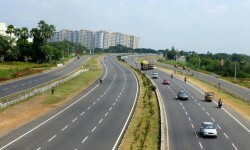 The locality also lies close to the National Highway-8. For those looking for property here will have to spend over Rs 6,200 for a square foot of area. In a set budget of Rs 1-1.5 crore, you could buy 3BHK, 4BHK and 4BHK+ apartments here, depending on the developer. Some of these include Lotus Realtech, Assotech, Uppal Group, among others.